Our Cruisin' lounge chair is one of Milo Baughman's iconic midcentury modern masterpieces. 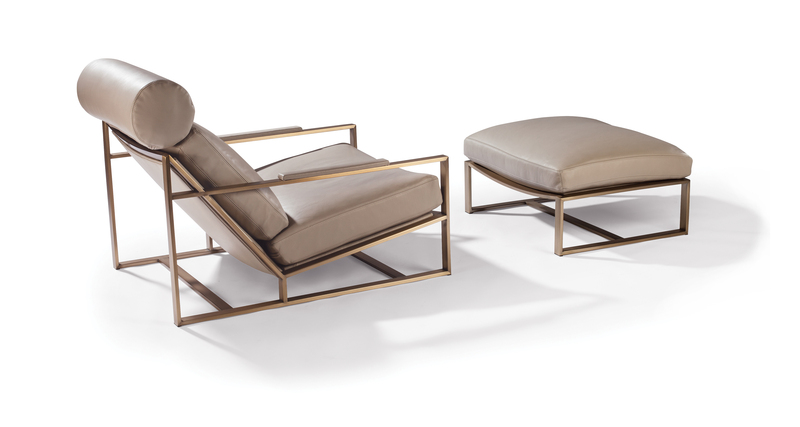 Originally designed in 1965, this sleek and luxurious lounge chair and ottoman is an AID award winning design. This trendsetting lounge chair features a brushed bronze frame with padded arms and luxurious seating and back support, Select any of our in-house curated fabrics or leather for upholstery or provide COM. Also available with brushed stainless steel frame as No. 1275-103-PS or with a satin brass frame as No. 1275-103-SB.